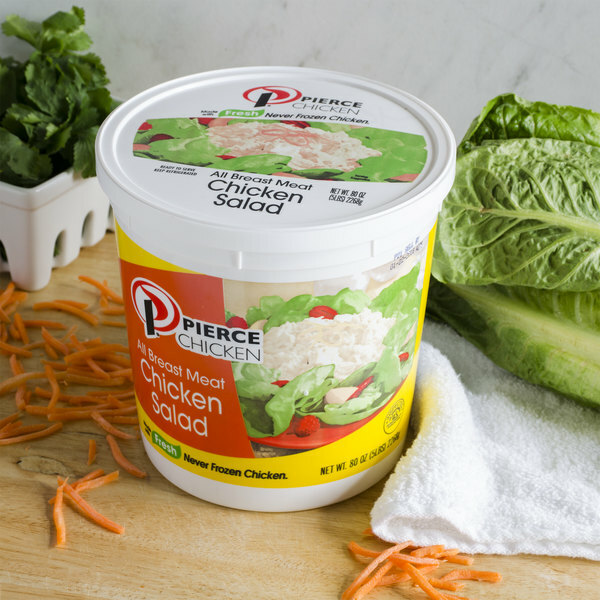 Add the perfect side dish or sandwich to your menu offerings with this Pierce Chicken chicken salad. This chicken salad is made with all white, breast meat for the best taste and texture. 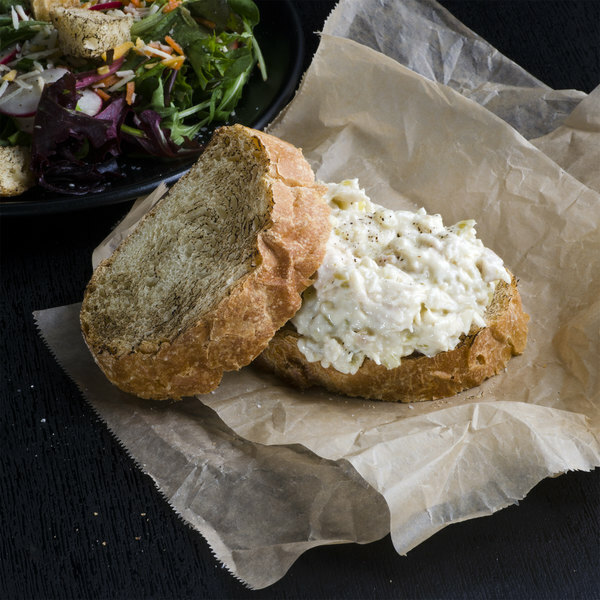 Additionally, this chicken salad can be used as a side dish or sandwich too. Or, mix in your own seasonings to create your own twist on this classic dish. Best of all, this chicken salad is ready to use right out of the 5 lb. container. 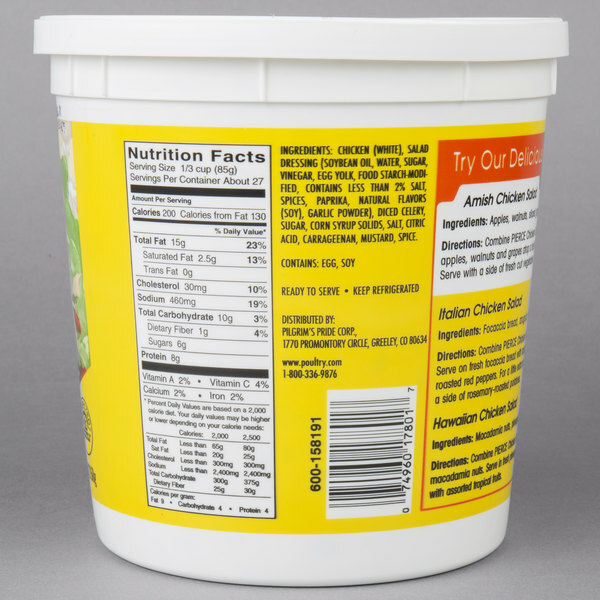 The resealable plastic tub helps keep it fresh in refrigerated storage as well. Whether you're serving sandwiches or adding fresh greens, this chicken salad is the perfect addition to your menu! 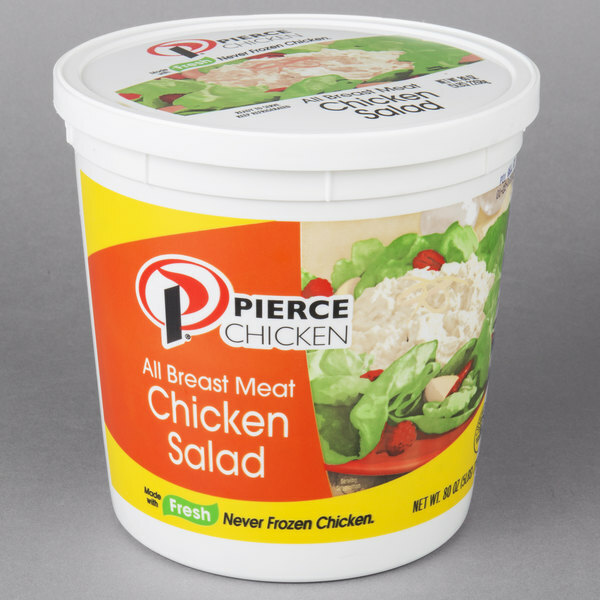 With a focus on quality, Pierce Chicken makes sure that all its products meet the highest demands of its customers. Since the 1950's they have been determined and driven not only to supply high-quality, delicious products, but to keep making new food products that are sure to amaze and delight. Using this innovation, passion, and drive for excellence, Pierce Chicken provides the taste you want with the quality you need. I grew up eating this chicken salad and in my opinion it is the best chicken salad ever, period. It taste homemade; infact I wish that my homemade chicken salad would taste as good. After moving to Eastern PA I was really sad that none of the delis or grocery stores carry this brand. I would definitely recommend it. This chicken salad is fabulous! it is the closest thing to home made and the best I have had in a LONG time! it tastes so fresh, and has so much flavor. its not too sweet or to saucy, or too dry. it is absolutely perfect! Some of the best chicken salad I've tried. Tastes home made! Will absolutely be ordering some soon to get it in time for the holidays! Great on hawaiian bread or even on crackers or rolls. Cant wait to share... bet no one will be able to tell its pre made. Shhh. Itll be our secret. This is the best chicken salad I have ever eaten. 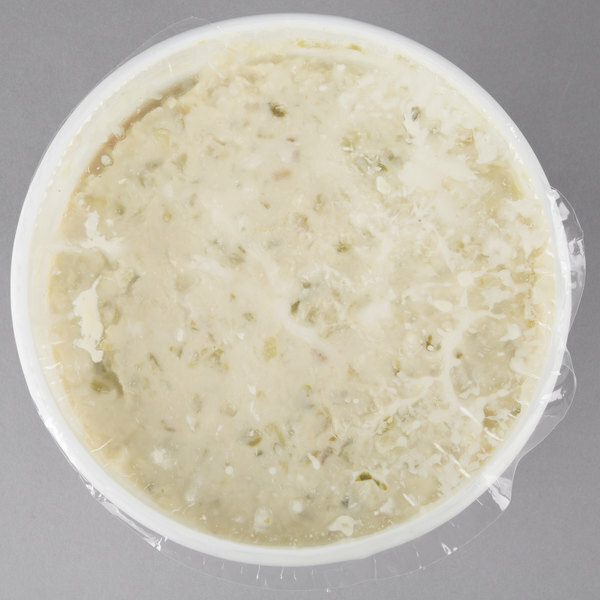 The amount chicken that is in it is perfect and the taste is not too sweet.